These images are just gorgeous! I love the winter maternity session along with her ear muffs! What a gorgeous session! You did an amazing job. I’m sure the couple has loved it! Love the blues for a winter maternity session! Beautiful images! I love this winder maternity session! Cold! What a beautiful maternity photo session! I especially love the one of them wrapped up in the blanket together! So much love! I just love the scenery you choose for this Maternity Session!! This Mommy to be will always be reminded how cold it was outside and how she had to weather the weather for her session!! Lol I was being cute! These Maternity portraits are just to die for!! And Assiniboine park was beautiful too!! Assiniboine Park is the perfect location for amazing, wintery maternity photos!! These are adorable. I love the photo of them snuggled up together in the blanket:) Congratulations to the happy parents to be! She is one of the cutest expecting mommas I’ve ever seen! Love this snowy maternity session! Great location Assiniboine Park! I love all the shots! 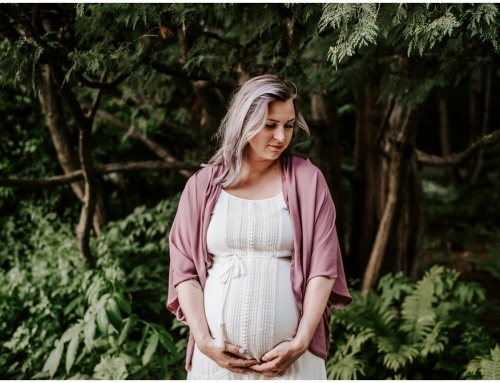 Assiniboine Park is a beautiful place for a winter maternity session…and she does not look cold at all. Must be her glow keeping her warm. I am excited to see their beautiful baby! These are gorgeous maternity photos. The snow feels warm with motherhood and these parents to be will love having such a wonderful keepsake of this time. Assiniboine Park is beautiful!!! And this couple looks so sweet!! Maternity photography is one of my favorites, and you did great with this session. I bet you were pretty cold yourself!! Beautiful maternity session. Beautiful momma to be. What a beautiful winter Maternity session. Beautiful moments and I love the color choice. Great work and Assiniboine Park is an awesome location. Love this winter maternity session- the one of her sitting in the snow hugging her belly is my favorite!